Experience the thrill of Motocross racing on your own TV. Realistic handles let you accelerate, brake, and turn the bike. Upgrade your terrain, environment, and gear for eight levels of play. Go head-to-head with virtual Motocross drivers or race the clock. 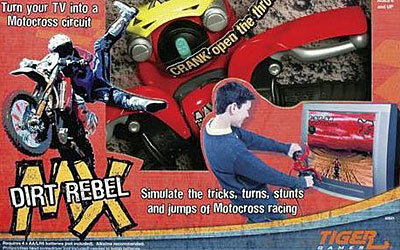 Turn your TV into a Motocross circuit as you simulate the tricks, turns, and stunts of motorcross racing.